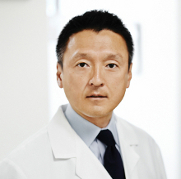 Dr. Hidetada Moroi received both his dental degree (DMD) and certificate (CAGS) in Periodontics from Tufts University School of Dental Medicine, and has maintained a private practice in Massachusetts since 1998. Prior to his career in the USA, Dr. Moroi completed his dental degree at the Osaka Dental College in Osaka, Japan in 1990. He currently holds the position of Clinical Assistant Professor in Periodontics at Tufts University School of Dental Medicine in Boston, Massachusetts. He has published numerous articles in national peer review journals, and he is actively involved in continuing dental education nationally and internationally. Dr. Moroi joined Osorio Dental Group in 2006, and provides all phases of dental surgery, including Implants and Periodontics. He is an active member of American Dental Association, American Academy of Periodontology, Academy of Osseointegration, and he is a Diplomate of American Board of Periodontology.